Ride in Comfort while protecting your ATV. Busted fender plastic is costly to replace. Ride in comfort while protecting your rear fenders with our rear fender guards and footrests. 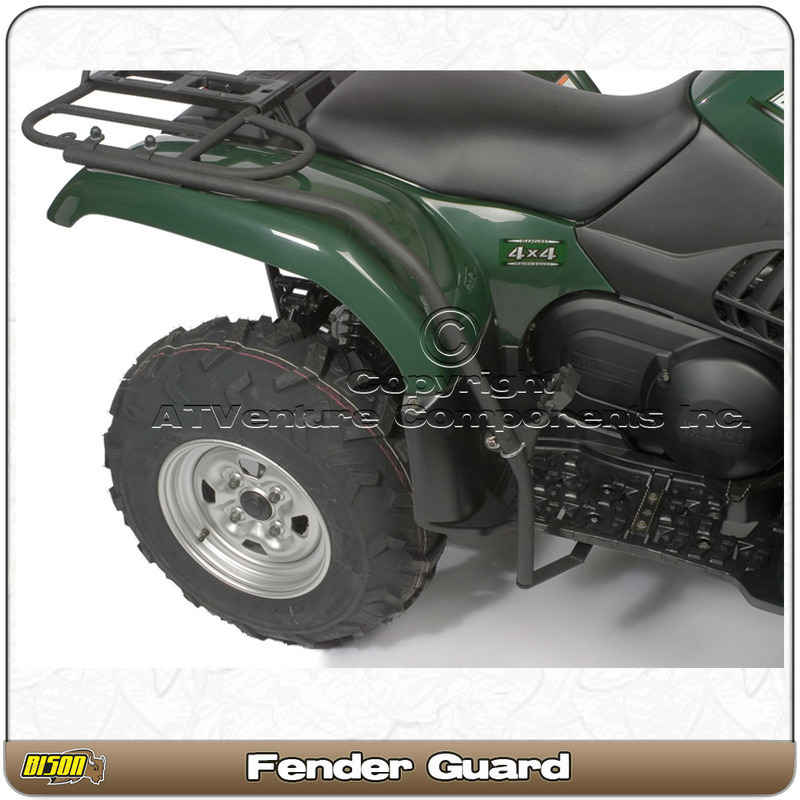 Folding footrests can be adjusted along the length of the fender guard. The durable steel footrest can fold back when not in use. Note: The pictures are generic. Slight variations exist between models.